Cross River University of Technology, CRUTECH acceptance fee and payment procedure for 2018/2019 academic session have been released. These candidates who chose CRUTECH in the 2018 UTME and have have offer of provisional admission should take note. Payment of both CRUTECH Acceptance and School fees for the 2018/2019 academic session will commence on Friday, October 5, 2018. Accept the CRUTECH offer of admission and proceed to the next stage pay acceptance fee. See details below. Below is the step-by-step procedure you should follow to complete the payment of acceptance fee. How Much Is CRUTECH Acceptance Fee? All new students are expected to pay a non-refundable Acceptance Fee of N15,000.00. This payment qualifies you to print Acceptance of Admission Form, CRUTECH Admission Letter and School Fee Chart. Your Student Payment Code (SPC)will display on the screen and also sent to your registered phone number. Click on Acceptance fee, enter your Student Payment Code (SPC)on the text box provided, then click on proceed. 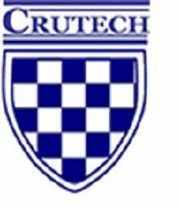 PLEASE READ: New CRUTECH School Fees Policy.